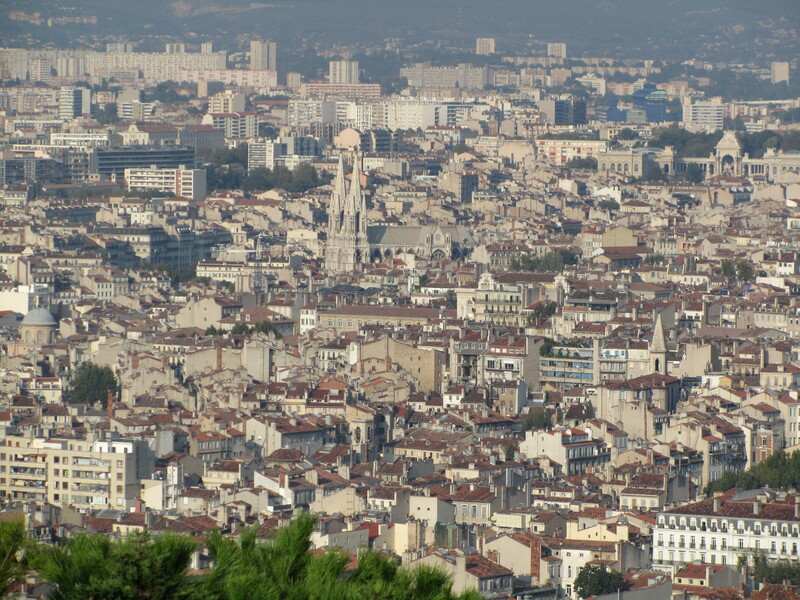 We started the day with Julien and Virginie at their place and drove started driving towards Marseille along the Côte d’Azur‎ (Azure Coast). It was a crystal clear day so perfect weather for mountain watching. 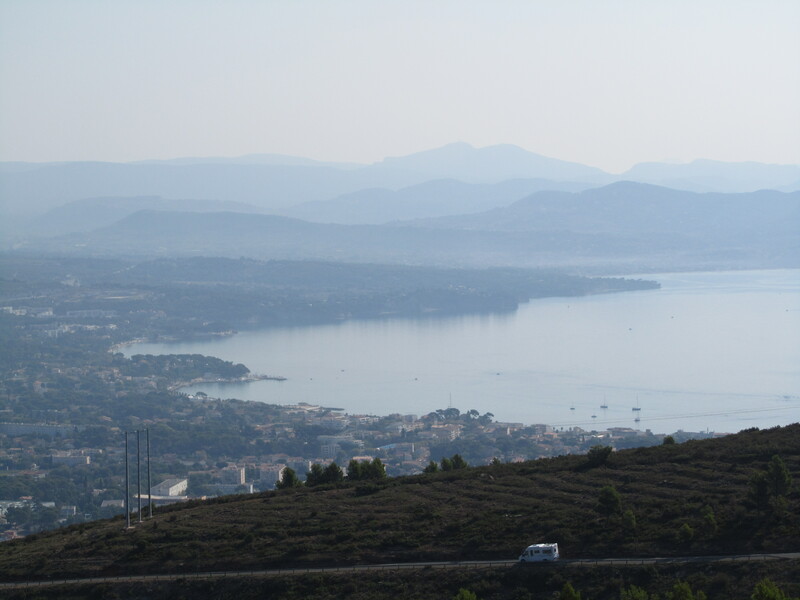 Our first glimpse of spectacular was when we started climbing the mountains just west of Toulon and looking back on the city. The temperatures hadn’t warmed up properly and there was still a bit of a haze over the city but we still got a good look at the surrounding mountains. We continued along this mountain pass until we got over the ‘peak’ and got a look to the other side of it more towards Bandol and Ciotat. The view that … The scenery before us… The specular that confronted us…. No, I cannot put into words what we saw. It was pure beauty. Perfectly still waters with the clear currents weaving themselves across the Mediterranean and the sun reflecting with only the vaguest shimmer off the water. The hills themselves were a mixture of a deep green of the scrubland and the white and grey of the rocky limestone outcrops standing guard over the blanket of the sea. Now I’m not usually one to talk so much fluff when writing but that just goes to show how much this view moved me. Photos will never compare but here is something to go by I guess. 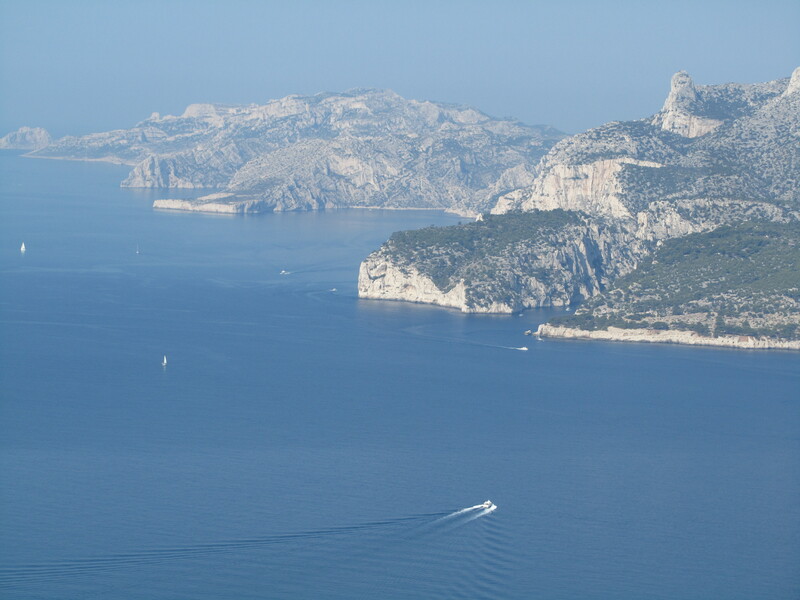 We stopped a couple more times on our decent and then on through the town of Cassis. We only drove through Cassis but considering the fact that Julian called it a village and that on Google maps it looks like nothing, this was a bustling little place (doesn’t matter if it’s called a village, town or city). When the next road train left, we jumped on it and headed back to the hotel where we had some dinner and stuffed around for a while before going to bed.